New Haven local freight NX-26 behind RS-3 532 comes off the Connecticut River swing bridge at Middletown, CT, and crosses the Valley Branch diamond. 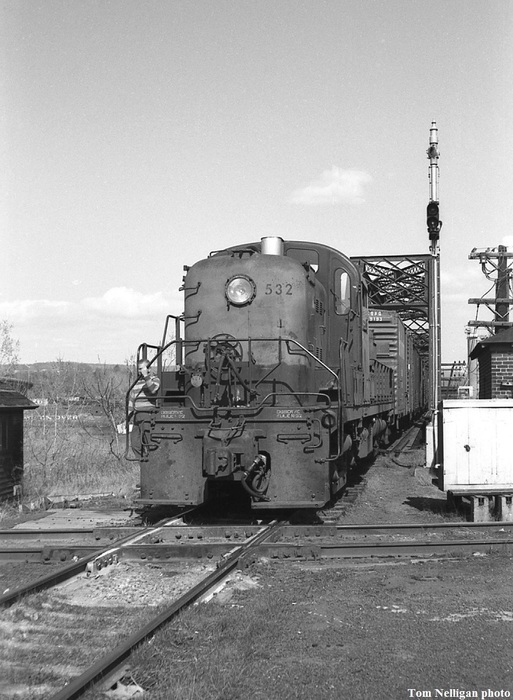 RS-3s were the usual power on the Air Line in the late 1960s. Photographed by Tom Nelligan, April, 1968. Added to the photo archive by Tom Nelligan, July 21, 2017.